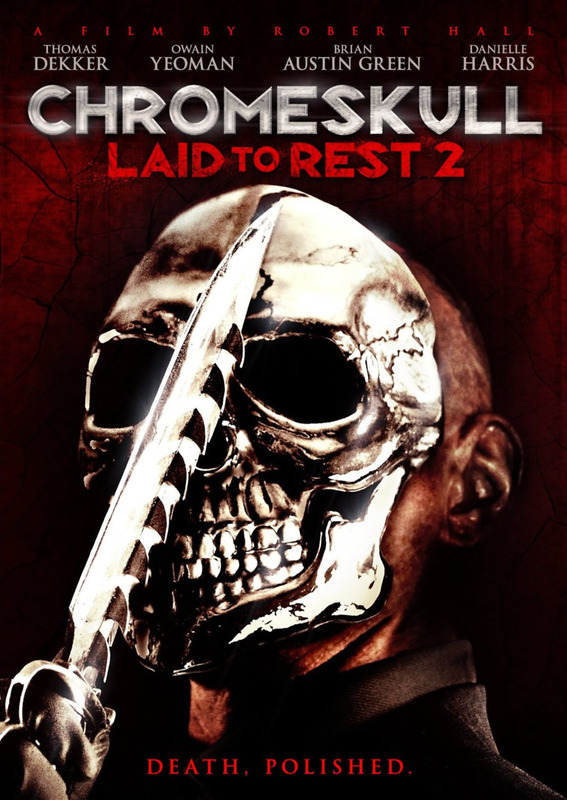 ChromeSkull: Laid to Rest 2 DVD and Blu-ray release date was set for September 20, 2011. Sequel to the gory ChromeSkull, this film picks up where the original leaves off. The horror flick opens with a death where police believe ChromeSkull has been killed. He hasn't been, and he's determined to continue his killing ways. The movie reveals that ChromeSkull is not only a solo killer, but he's part of an entire organization dedicated to killing for control. Where the killer falls short of his goal in the first film, in this film his boss is determined to keep him from reaching his goals yet again. ChromeSkull is not only battling his own demons and goals, he's now battling powerful forces that can stop him with more than his own death.